There has been talk for decades about an imminent dimensional shift, as long as humanity can sufficiently raise its ‘vibrations’. But what does it actually mean? 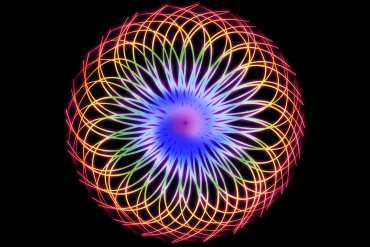 One view is that we are currently living in the 3rd dimension (or vibration), and heading to the 4th. The 3rd dimension is characterised by mass, weight, volume and the lessons of the body’s 3rd chakra/energy centre, representing self-esteem, self-respect, generosity and ethics. The 4th dimension/vibration represents the 4th or Heart Chakra, and involves learning lessons of love and forgiveness. Interestingly, Dr Kaku feels that humanity is poised to shift from its 3rd dimensional state to higher dimensions, if it can overcome its self-destructive nature. This entails, one would deduce, an increase in our vibrational state. Is this something that will happen naturally, or do we have to work at it? Certain activities have been known to raise vibrations, such as singing, meditating, praying, keeping healthy, growing through life’s challenges, and just doing things that make us happy. But it can also happen naturally, usually the result of inner guidance, where we are instinctively drawn to certain foods, circumstances or lifestyles, and repelled by others. For example, at a higher vibration we usually no longer want to eat or drink certain foods, such as coffee, tea or meat, which are dense and can affect the body’s energy. We may start to avoid chemical cleansers in the home, and prefer to wear natural fabrics against our skin. Other temporary symptoms can be headaches, reflecting the expansion of the crown chakra, flu symptoms, as toxins are released, nausea and diarrhoea as the solar plexus chakra releases stored fear, anger and resentment. Muscles can ache, if there are blockages preventing the energy flow, emotional upset for no reason as emotional blocks are released, and breathing problems can occur as the heart chakra begins to open. Heightened sensitivity is also common, to noises, light, smells, tastes, and people. Similarly, some start to develop telepathy, intuition, see spirits and into other dimensions. To explain this further, it is useful to remember that vibrations operate much like radio signal frequencies. In other words, we will see, feel, touch and perceive only what we have tuned into at any particular stage in our existence. That doesn’t mean to say that other vibrational states or worlds don’t exist. Fatigue can occur, caused by energy shifting through the spiritual body, designed to heal the physical, mental emotional and spiritual bodies. Temporary sleeplessness is common, in cases where the body is unable to store the excessive energy due to blockage and congestion. Some report weight gain, which apparently helps to anchor and hold grids of light in the areas around where we live. Body fat becomes crystalline, and distributed evenly around every cell to allow the entire body to act as a tuning fork holding a new vibration. Experts say that the reason given for this discomfort during the transition process is that our higher frequency, non-physical body is shifting out of synch with our denser physical body, causing temporarily uncomfortable sensations. It is an activation of additional strands of DNA (we only use 2 out of 12 at the moment) at a cellular level that causes these changes. To relieve the symptoms, it is recommended to drink pure water, add crystals to energise the water, eat light meals, some light exercise to allow energy flow. When complete separation is made, the symptoms disappear. Do vibrations rise suddenly? No. We tend to come and go from one dimension to another, until we start to spend more time in one or the other. By raising our vibrations, we start to live consciously, and open our connections up with our Higher Self, Spirit Guides and higher Light Beings. We start to receive guidance and information from the universal Spirit, which fills our lives with joy, harmony and inner peace. Most importantly, we are preparing ourselves for a more permanent shift into a higher vibration, to a more enjoyable and fulfilled existence, free of the limits and constraints of 3rd dimensional living.